5 fake letters were predicted, and 5 fake letters have been found. 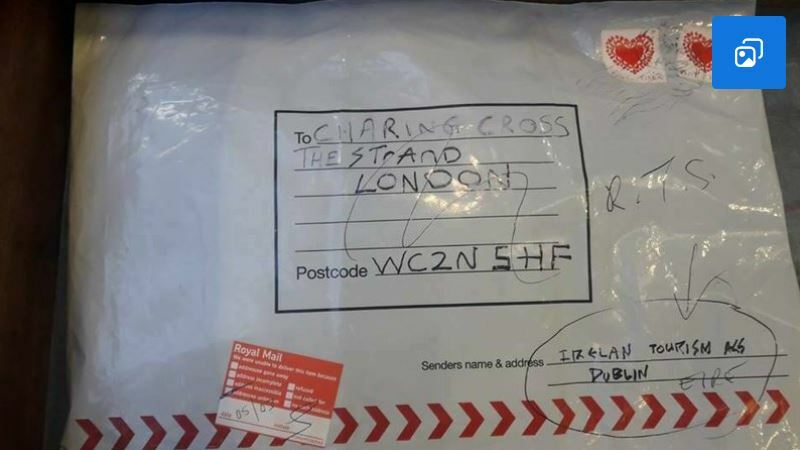 Postal workers, maybe, especially, in Britain, can relax now, on the possibility of handling a combustible envelope, with 2 red heart stamps on it, because that envelope was found, in Ireland. People in Limerick will a a mixed range of feelings, no doubting it. But questions need to be asked. Why did a package with a return address of Dublin, end up in Limerick? Do people working in the Royal Mail not follow the news? Or get, or read, internal memos? Why are you posting mail that looks like this, to Ireland? Maybe read the news sometime. Is Limerick the new national centre for Ireland Tourism? Royal Mail and An Post have explaining to do. We are still in a recession/robbery, and post from London, with a Dublin return address ends up, in Limerick? At best it is inefficient. How would people in Britain feel, if it was the other way around, and one of these packages, which every newspaper has been warning about, turned up in Leeds? These letters are a joke and an example of how police, government, and media, use fake terrorism on the masses. There are small psyops, like these letters, and bigger ones, with fake shootings, airplanes, many actors, people take as real. Every so called world leader knows 911 was an inside job, anyone who says it wasn't is a liar or an idiot. They are all smart people. They do not work for the people, they work on the people, to divide them. That is their purpose. They make the people pay. News on TV, any of the the big news outlets, full of lies. They are working on the masses, providing them with the narratives. They are not your friends but they try so hard to convince you they are. That they are not a part of the government and the agenda for the people. TV is programming for the masses, drama on a screen. Even the news is drama. Made up.